This is the second commission for Rahul for his friends’ wedding. This one is of the soon-to-be married couple themselves. I won’t describe their names for security reasons, but even then, I wasn’t told what their names are anyway. This one was also done in chalked colours and inked outlines. 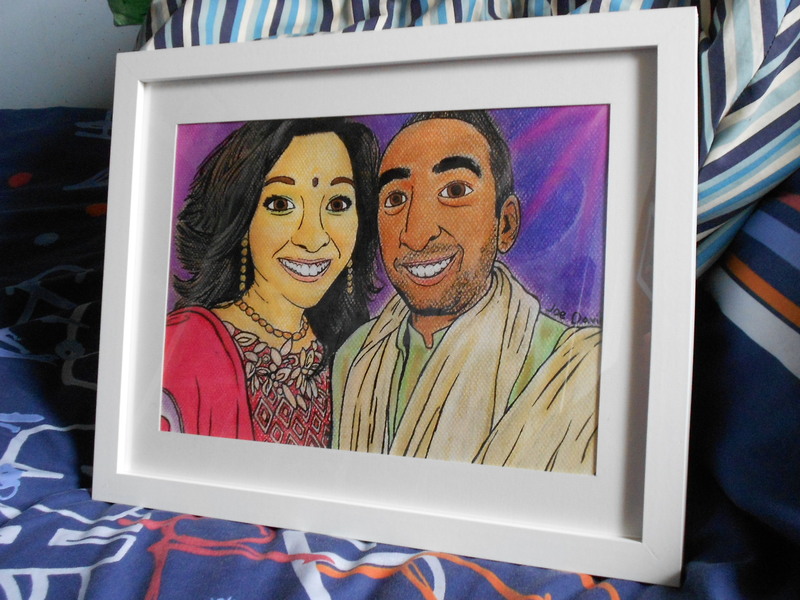 However, Rahul wanted me to draw this image in a much more realistic style than the first Wedding Gift Caricature. And so I did; I drew them in as close to the photo reference he supplied me with of them as possible, and this time I made sure the chalk colours would feel more whole than the last image. I also took note of adding some depth in some areas to imply shading. 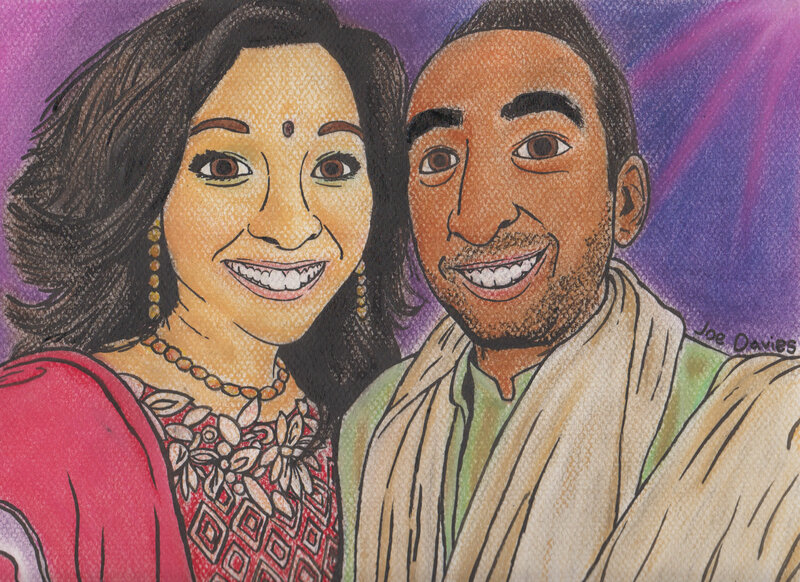 I used the same pastel paper and fixative as before, which as I have described in Wedding Gift Caricature 1, I had bought them myself for the sake of this commission. 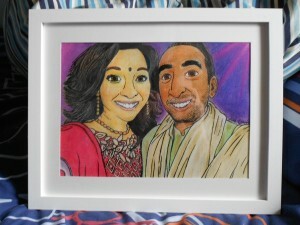 Likewise, I again framed the image, with the same style of frame that was used for Wedding Gift Caricature 1, as per Rahul’s request. You can view the illustration framed in the images below. 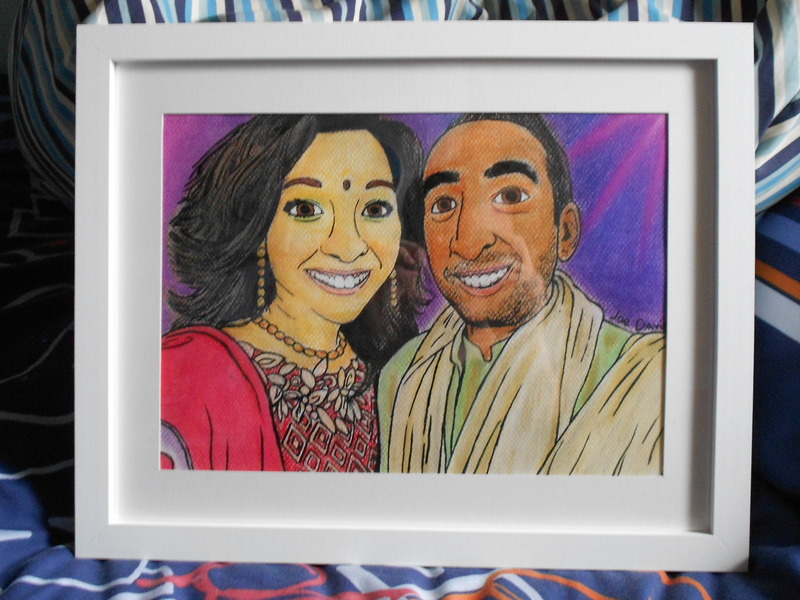 Rahul was once again very pleased with the results of this commission. And I am too. I honestly did not expect this piece to come out as good as it is, given my limited experience with chalk.